Anywhere a temporary speed limit is in force. Use within existing speed limits as a speeding deterrent. These signs have displays of ’30’,’50’,’60’and ’80’ incorporated within the sign face. 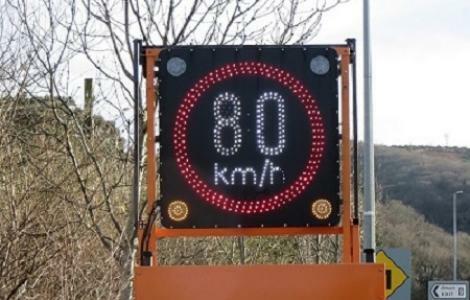 The unique manual switching facility on this sign allows the user to instantly change both the detection speed and speed display in one operation to suit the required limit. These signs have a footprint of 1900mm x 1350mm when set up. Battery powered with Solar Power Supply to prolong battery life, ensures long term use.